An award-winning novelist, Judy Alter has written fiction for adults and young adults, primarily about women in the nineteenth-century American West. Judy’s western fiction has been recognized with awards from the Western Writers of America, the Texas Institute of Letters, and the National Cowboy Museum and Hall of Fame. She has been honored with the Owen Wister Award for Lifetime Achievement by WWA and inducted into the Texas Literary Hall of Fame at the Fort Worth Public Library. Now she has turned her attention to contemporary cozy mysteries. 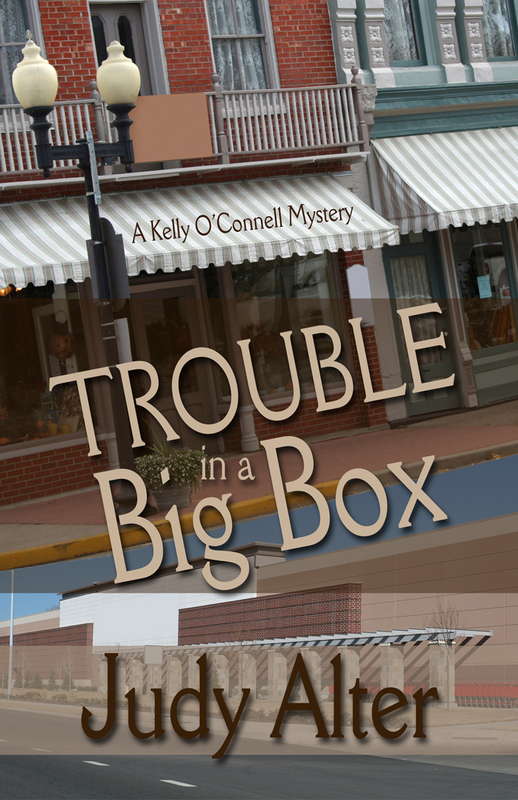 Trouble in a Big Box, the third Kelly O’Connell mystery, follows Skeleton in a Dead Space and No Neighborhood for Old Women, which received good reviews and popular enthusiasm. Welcome, Judy! In Trouble in a Big Box, Kelly O’Connell has her hands full: new husband Mike Shandy is badly injured in an automobile accident that kills a young girl, developer Tom Lattimore wants to build a big-box grocery store in Kelly’s beloved Fairmount neighborhood, and someone is stalking Kelly. Tom Lattimore pressures her to support the big box, and when his pressure turns to threats, Kelly activates a neighborhood coalition to fight the project. She also tries to find out who is stalking her and why, and her sleuthing puts her in danger that terrifies Mike. But he isboth powerless to stop her and physically unable to protect her and her young daughters from Lattimore’s threats or the stalker. After their house is smoke-bombed and Kelly survives an amateur attack on her life, she comes close to an unwanted trip to Mexico from which she might never return. Kelly is fighting to save her neighborhood and its old-time small-town atmosphere and historic buildings, to keep from displacing a lot of mom-and-pop businesses. But she’s fighting a larger battle, though she doesn’t realize it. We’ve seen it played out across the country for years: Wal-Mart moves in and the small businesses in a town are forced to close; syndicates take over newspapers until there are only a few if any locally-owned papers in major cities; chains force independent bookstores to close. What do we value? Big business or the individual? Of course I didn’t realize all this when I wrote. I simply wanted to involve Kelly in a new adventure and tell a good story. I’m reminded of Dorothy Johnson who wrote A Man Called Horse, The Hanging Tree, and The Man Who Shot Liberty Valance, among many others (you have to be a bit old to remember). Dorothy once wrote me that she was astounded at all the symbolism critics—and teachers—found in her work, because she didn’t put it there. Maybe we’re all that way, even though our goal is simply to be good storytellers. Follow Judy on Facebook (at https://www.facebook.com/#!/judy.alter) or http://www.judyalter.com or her two blogs at http://www.judys-stew.blogspot.com or http://potluckwithjudy.blogspot.com. 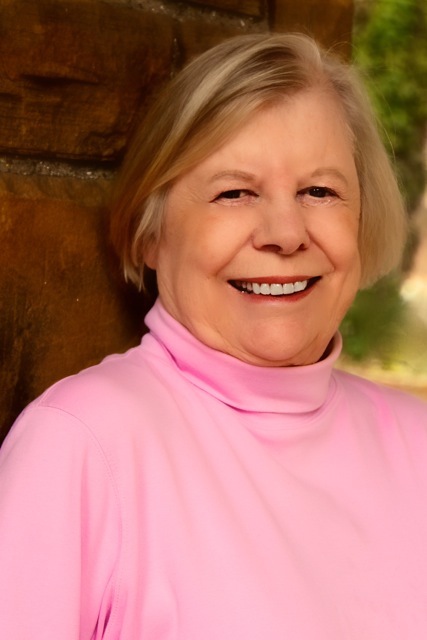 Her mysteries are available in print or as e-books, and some of her western fiction is in e-book form.Judy lives in Fort Worth, Texas, with her two dogs and frequently sees her four children and seven grandchildren.